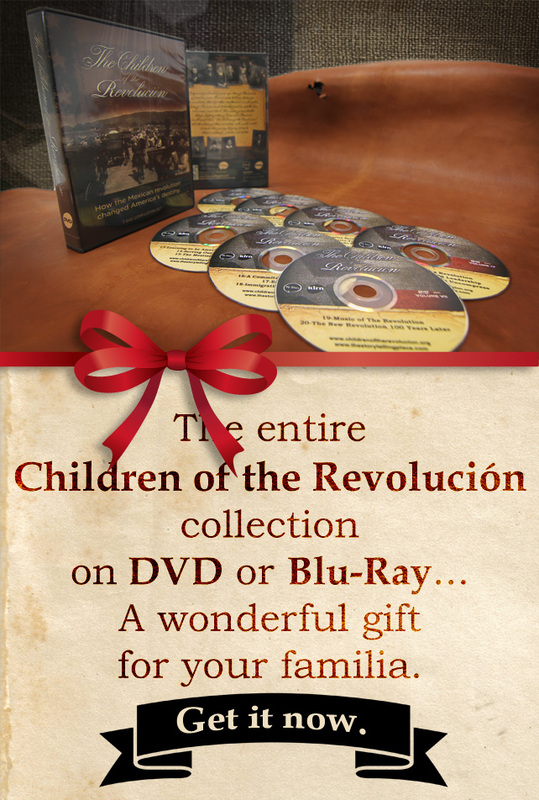 We got an email on our blog today from somebody interested in getting the full collection of Children of the Revolucion series. Apparently, he asked his mother what she wanted for Christmas. “I don’t want anything… Well wait! I do want something. If you’re going to get me something for Christmas the only thing on my list is the Children of the Revolucion TV show.” He contacted us this weekend and his Christmas present is on its way. We should have realized that this a fabulous gift idea but it was an oversight. You can call 210 641 8331 or you can email contact@childrenoftherevolucion.com for more info. There are several options for delivery… You can pick it up at My Story offices at 8627 Cinnamon Creek #501 San Antonio, Texas 78240. You can have it couriered to your home or office. You can have it sent 2nd Day delivery. You can have it slow-mailed by media mail. Is this in Spanish? I live in Mexico and would love to share this series with my friends who do not speak Spanish. Thank you! It’s a wonderful series.